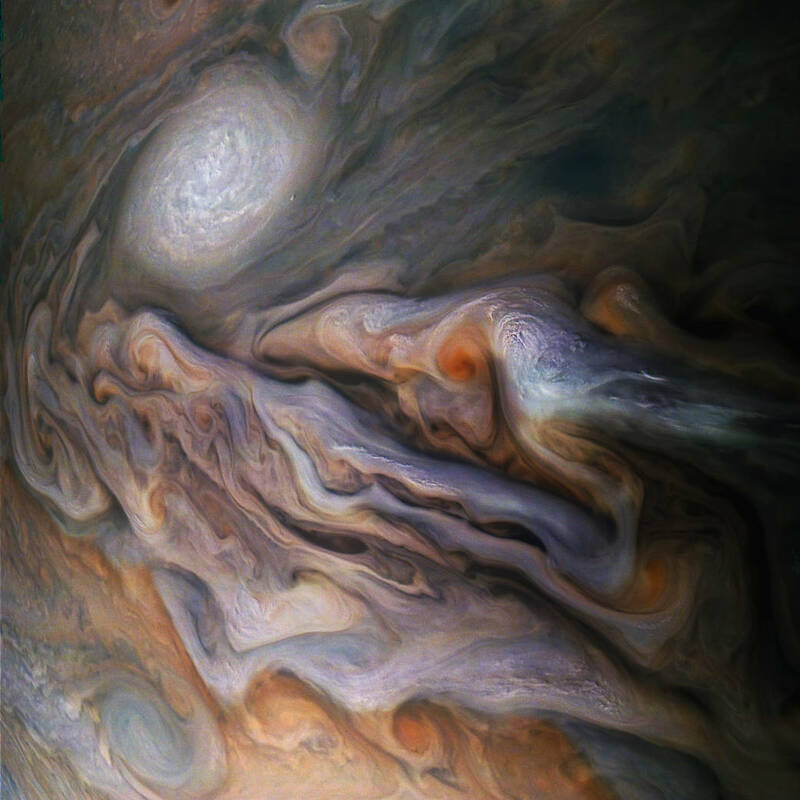 The swirling, toxic clouds of Jupiter’s North Temperate Belt are captured in this image from NASA’s Juno spacecraft which has been on the case since it was launched in 2011 – reaching Jupiter’s orbit about 5 years later. Anyway, the raw images were taken in late October, 2018 as the little-probe-that-could swam past the big guy for the 16th time. There’s a kind of Bruce Willis-inspired promotional video about Juno here. JunoCam’s raw images are available here and NASA are quite happy for you to work them up.